Radiohead has gotten involved in Haiti relief efforts. 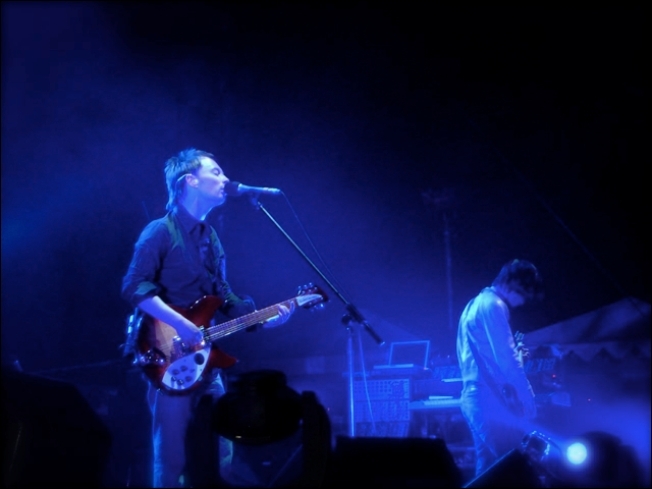 LOS ANGELES — Radiohead raised more than $500,000 for Haiti earthquake relief at a special weekend concert that attracted celebrities and die-hard fans. The band performed for more than two hours Sunday at the Henry Fonda Theatre. The star-studded crowd included Justin Timberlake, Jessica Biel, Charlize Theron, Anna Paquin and Daniel Craig. Attendees bid online for tickets, with proceeds going to Oxfam International, a group that works with developing countries. Prices went as high as $4,000 for a pair of tickets. The closing minimum bid was $475. Lead singer Thom Yorke joked with the crowd about the ticket prices, saying, "What did you do to get a ticket? Get money from your dad? Or blackmail your boss?" Timberlake took in the show from the floor in the general admission area, singing along with the band's hits, which included "Fake Plastic Trees," ''Paranoid Android," ''Lucky" and "The Bends." "I love them for the same reason everyone loves Radiohead," Timberlake told The Associated Press. "I have been listening to them since I was 13." At work on a new album, Radiohead took a break from the studio to put together the special one-time benefit show at the 1,300-seat theater, a relatively small venue for the band. Funds also were raised from the sale of limited-edition show posters, which went for $25 each. Oxfam volunteers collected cash donations dropped into green buckets at the theater's entrance. Tickets were sold only in pairs, prompting fans to search for bidding partners online. Shane Rivers of Sacramento, who says he's seen the band 15 times, found his plus-one on Craigslist. "I drove seven hours to be here," said Rivers, who paid $600 for his ticket. "It was special to be in the room." Rob Molt of San Diego said he feverishly bid for days to win his $475 ticket. He said he would have spent "whatever it took to see such a beautiful band do such a beautiful thing." "I hope how special this night was translates," he said. "I was expecting to be the runt in a Hollywood crowd, but it was all real Radiohead fans."